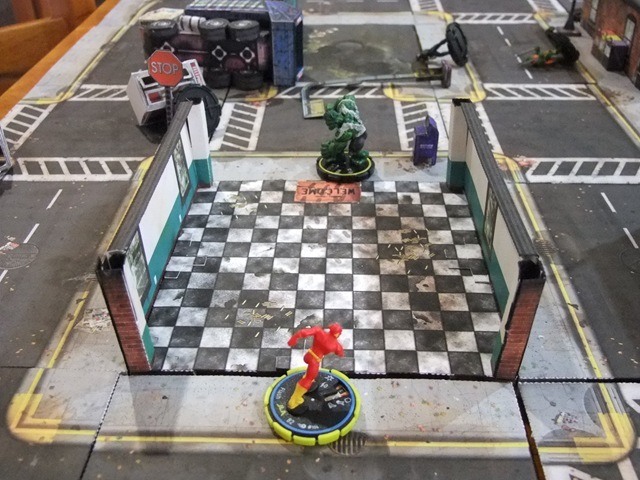 I have made a small 5x5 Mayhem TLX build that I used to play test my Super hero rules using All Things Zombie from Two Hour Wargames as a base. 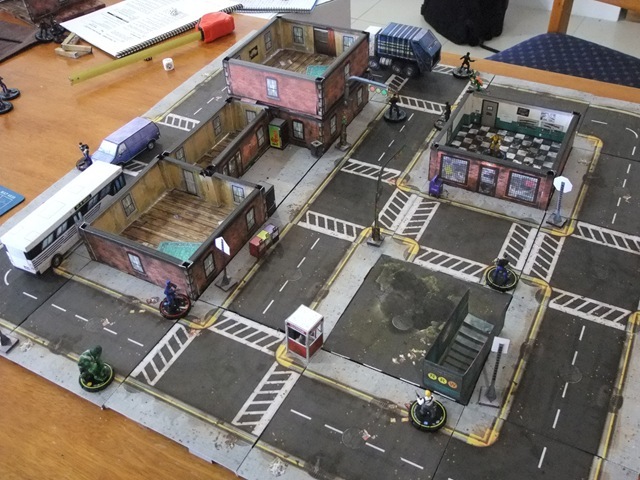 The play-test is written as a battle report and posted it on my blog. It makes me wish I had more time at the moment to make up more pieces to expand the city. Many congrats! Your game board is excellent. As a big fan of THW's games (especially ATZ) I like how you've adapted the rules for Supers. Well done and please share any more games you play. I've just started getting to grips with SuperSystem (3rd edition), but I also have ATZ, so your new rules look very interesting! I have SuperSystem 3rd ed as well and I like the game but trying to reduce the number of systems I have to remember and that is one of the great things I like about THW; similar rules for different genres. Great city there. Love the use of a phone booth as a ranged weapon! Awesome! This is a great example of the TerrainlinX system used properly! I love it when you remove the walls later in the report. Clean build and a great look at the system in use. I love THW and WWG together!!! Its like bread and butter, (Mmmmmm... food!!!) So is the super rules going to available for download or purchase???? Would love to have a super set of rules in stead of using M&M for my clicks!!!!! I love seeing builds in action! Not sure what will happen concerning the rules. I was making them for my own use and others have shown interest so not sure what will happen.